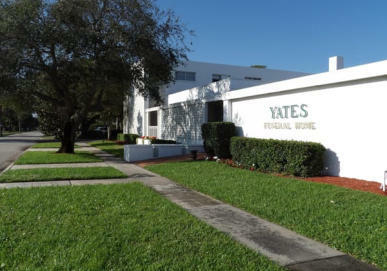 7951 South U.S. Highway 1 Port St. Lucie, FL 34952 Telephone: (772) 878-2300 Toll-free: (800) 762-9095 Email: info@yatesfuneralhome.com Family Owned & Operated, Yates Funeral Home and Crematory has been serving families of the Treasure Coast of Florida for over 75 years. We are family owned and operated; have our own on-site crematory and the experience of five generations of Funeral Directors. As a family owned and operated business we understand the need to ensure your loved one is taken care of by people who care and you can trust. Our pledge to you is; your loved one will be safe; treated with great care, honor, and respect during all aspects of our professional services. Full Range of Cremation and Burial Services; Preset or Fully Customize - Your Choice. We offer services that range from simple direct cremation or burial to full service memorials, celebrations, and traditional funerals. Our cremation and burial plans have been developed over the years to offer the best service value wanted by our customers. Our cremation and burial plans are not locked in stone. Your family is unique. We'll work with you to customize our services to meet your unique needs. Getting a Loved One Home. This is Florida. We fully understand "snowbird season" and all the other seasons that happen year round. We want you to know that if something unfortunate does happen with a loved one while visiting you can rely on us to help. We provide transfer services to (and from) any other funeral home in the U.S. and points abroad. We will get your loved one "back home" for you. Special Care for U.S. Armed Services Veterans. We provide special care for Veterans of the U.S. Armed Forces. Anyone who has ever been in the military knows that it's not over until the paperwork is done. We will work diligently with the family members of Veterans to complete the applicable benefit claim forms a Veteran may be eligible for based on current VA regulations with regards to Burial Allowances, VA National Cemetery, Memorials/Markers, Military Honors and U.S. Interment Flag benefits. It is our honor to care for families of Veterans and a privilege to do what we can for a fallen hero. Convenient Neighborhood Locations. We have two convenient locations to serve you; one in Port St. Lucie and one in Fort Pierce. Both locations are along the U.S Highway 1 corridor and are easily accessed from anywhere in St. Lucie, Martin, and Indian River counties.